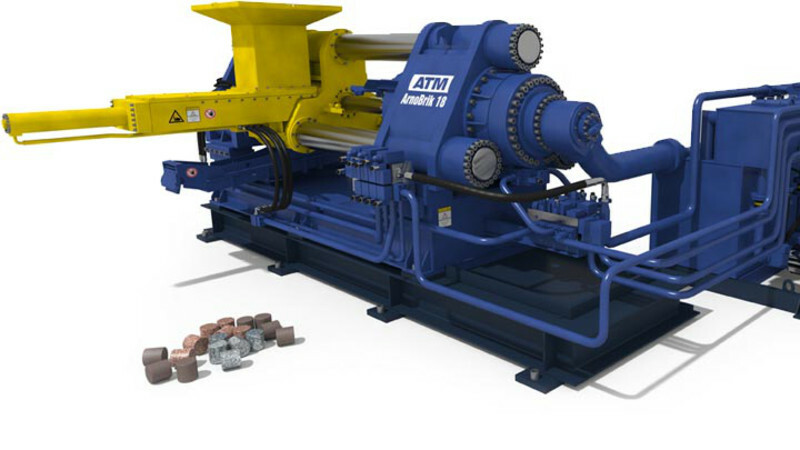 The ArnoBrik Series Briquetting Presses are offered with three different filling variants, according to the free flowing property of the material. 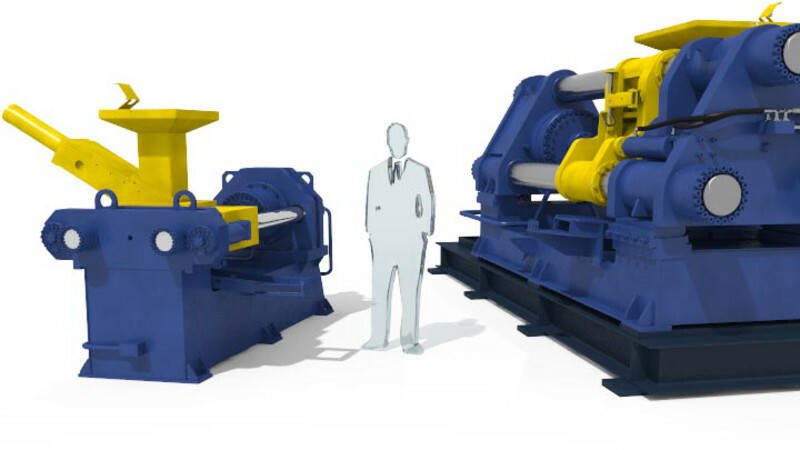 An inclined feeder or a twostep feeder permit these presses to process both grinding slurry and drilling swarf. The solid welded construction design with two or three columns means that the machines can also be used for heavy continuous operation. Each machine can be operated manually or automatically. All presses have a graphic operator panel with visualisation of all process sequences and can therefore be integrated easily into fully automated production lines. Remote maintenance and system adjustments can, of course, also be carried out. The optimum system to balance the relative motion during the compression stage guaranteeing an enormous wear reduction in the pressing box. ATM presses are pioneers on the market and set the trend. More than 30% of the drive energy can be saved by the use of the filling valve technology. 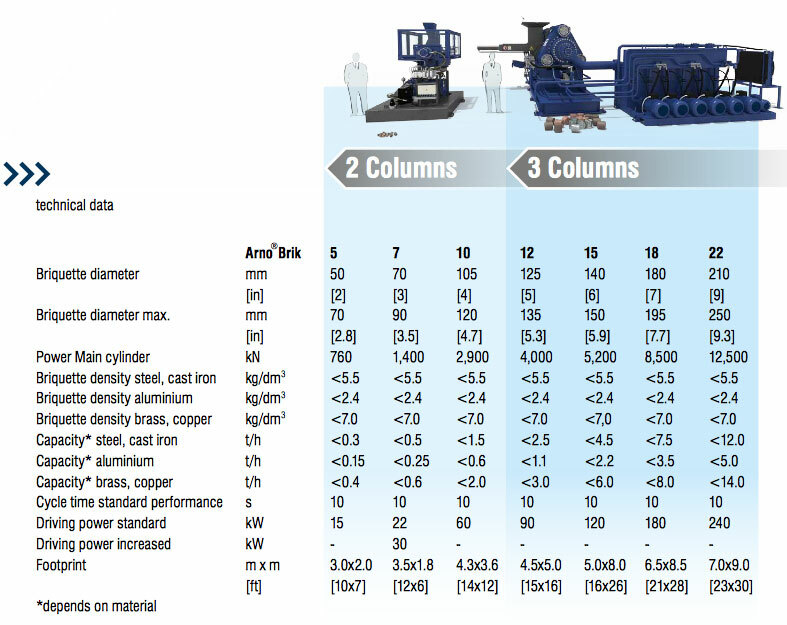 No other construction principle diverts pressing forces as effectively as the 3-columns technology. Columns fitted with patented clamping nuts process millions of compacting cycles at full load. The high density of the briquettes ensures their suitability for transport and guarantees best melting results.